If you or someone you know has been victimized please contact DannLaw by email or call 216-452-1028 today. The Earl Restaurant Group just announced that that cyberthieves gained access to debit and credit card information of 2,000,000 people who visited Buca di Beppo, Earl of Sandwich, Planet Hollywood, Chicken Guy, Mixology or Tequila Taqueria restaurants in the United States between May 23, 2018, and March 18, 2019. According to cybersecurity experts, the stolen information can be used to create counterfeit cards to purchase high-priced items from other retailers. This breach affected all Buca Di Beppo locations in Ohio; Chicago, IL; and New York City, NY as well as the Earl of Sandwich and Planet Hollywood locations in New York City. Along with contacting DannLaw by email or phone, if you believe your credit or debit card information has been compromised we recommend that you carefully review your credit and debit card statements from the past year for any odd charges you didn’t make. Contact your bank or credit card issuer if you find suspicious activity, so you can get a new card and account number. 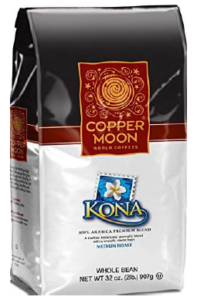 Growers in the Kona region of Hawaii have filed suit against the stores/online retailers listed below alleging they have been labeling and selling non-Kona coffee as Kona coffee for years. As a result of this alleged fraud, consumers who purchased the mislabeled coffee have been overcharged. The amount consumers overpaid could be significant based on their coffee consumption. We are preparing to seek financial compensation for anyone who has been victimized by the mislabeling. Retailer/online outlets include: Kroger’s, Walmart, Costco, Amazon.Com, Bed Bath & Beyond, T.J. Maxx, Marshalls Albertson’s, Safeway, Pacific Coffee Inc., Sprouts Farmers Market, Inc., Hawaiian Isles Kona Coffee, Cost Plus/World Market, Boyer’s Coffee Company, Inc., Java LLC, A Copper Moon Coffee, Gold Coffee Roasters, Cameron’s Coffee. The scam artists at Wells Fargo strike again. This time the bank enticed homeowners to apply for trial mortgage loan modifications even though they knew the borrowers had little if any chance of being offered a permanent modification. That didn’t matter to Wells-the lender simply wanted people to make additional, higher payments as they moved toward foreclosure. Wells sent its latest victims a letter of apology and a check for $300. We believe homeowners deserve much more. If you or someone you know were involved in this incident contact us today so we can evaluate your situation and determine if you are entitled to financial compensation.